The battle for control of regional publisher Newsquest’s US owner has intensified after its would-be buyers announced plans to nominate six new board members. MNG Enterprises, which is also known as Digital First Media, has launched a takeover bid for Gannett, whichs owns the UK regional publishing giant. It has already had a bid of $12 a share rejected, but now it has announced a proxy battle by nominating six new directors to sit on the Gannett board. If elected at the company’s annual general meeting, they would then be in a position to overturn the current board’s decision to reject the bid. Gannett said in a statement last night: “The Gannett board of directors will evaluate MNG’s notice and proposed nominees, all of whom are affiliated with MNG or its majority shareholder Alden Global Capital. “As Gannett stated on February 4, 2019, Gannett’s board does not believe that MNG’s proposal to acquire Gannett is credible. In addition, the board has determined that MNG’s proposal undervalues the company, its key assets and its prospects. A date for the AGM has not yet been set. 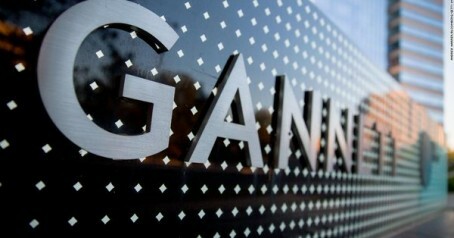 MNG, owner of the Denver Post and a host of other US titles, currently holds a 7.5pc stake in Gannett.